Renovations help home sales by being ‘move-in-ready’. For large family homes, a spacious kitchen with spaces for more than one cook is appreciated. Kitchens and baths sell houses, the saying goes. Buyers want move-in ready homes and find costly, disruptive renovations daunting. Before improving your kitchen, remember at some point your property will have to be sold; however the longer you plan to stay in it, the more personal preferences you might incorporate. Based on the neighbourhood, the style and price of your home, anticipate who your eventual target buyers will be. Consider their lifestyles. Most want open plans with views to adjacent living space, making it possible to chat with guests or keep an eye on small children while working in the kitchen. For large family homes, a spacious kitchen with spaces for more than one cook is appreciated. Remodelling to open up and add space to your kitchen is a definite value-add for these buyers. Is the layout functional? Or, does traffic cut through your work triangle? Is there enough counter space and storage? Are ventilation, electrical and plumbing adequate? Do structural or mechanical issues need attention? Installing a top of the line kitchen doesn’t make sense if the walls aren’t insulated or you keep running out of hot water. Are appliances modern and of suitable quality for the type of home? Electric stoves are all smooth top now and stainless steel is the number one selling finish by a longshot. A commercial grade stove and a wine cooler would be expected in a luxury property. Are expected appliances missing? For example, a dishwasher is now a must have for almost every property. Are appearance and finishes suitable for price point, architectural style and target buyer? 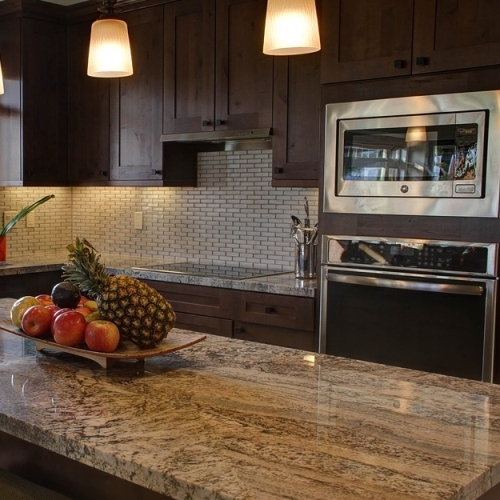 In a high end home, countertops of granite, quartz or similar, are expected and not laminate. In an older home, a modernized kitchen should keep style elements of the period. If you over-improve or create something too taste specific, you won’t recoup costs upon sale. Set an appropriate budget. The closer to selling, the less you’ll want to spend. If selling within the year, you might give the kitchen a modest facelift, investing less than one or two percent of asking price. If you anticipate staying for five years or more, a good budget for a kitchen renovation is up to ten percent of the estimated value of the home. Finally, begin your detailed planning. 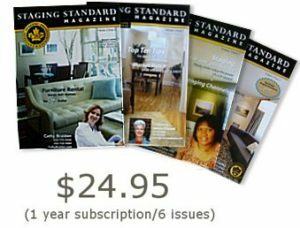 Browse magazines, websites, kitchen cabinet stores, and big box home stores for ideas and information. 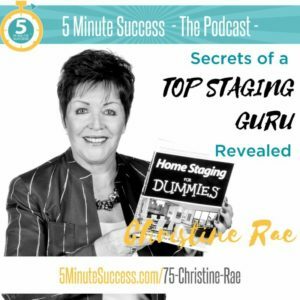 Knowing where and when to buy products is crucial for budgeting. How closely should you follow trends? 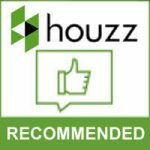 If selling soon, adopt well established trends if they suit target buyers and the property. Otherwise, incorporate innovations you like into elements which can be easily replaced when they become dated. If it’s a hot new color you crave, use it in paint, accessories, seat cushions or window treatments which are easy to change. Grey shades in wood flooring are trending. If you use these in a product which can be sanded and re-stained, it will be a different proposition from completely replacing dated flooring. Colored cabinet finishes are another current trend. Cabinets can be painted and hardware changed, but if the profile of the door is not a classic, it might look out of place in a few years. A new trend is the ‘unkitchen’, a sophisticated, sleek style with clean lines, flat doors, concealed handles, and built in appliances. If this clashes with your traditional architecture, in might be a bad idea. Try a modified version of sleek using classic, clean-lined shaker cabinets dressed up or down with hardware options. If you like the current style of small glass tiles or small strips of stone in a backsplash, instead of using them for the entire backsplash, you could use a plain tile accented with one row of the fancy tile. Keep extra plain tiles, and change out the trim row for an all plain look when the trend wanes. Instead of following the trend to open shelving, you might simply remove the doors from a few cabinets. If the trend is over by the time you sell, you can reinstall the doors instead of adding entire cabinets. Slabs of wood, with or without natural edges, are being used as countertops. Instead of committing the entire kitchen to the look, feature them on an island or bar top which will be easier to change. A good kitchen renovation has a relatively long useful life, perhaps 15 years. Even if you don’t contemplate selling for a decade, it still makes sense to consider how your choices will impact that eventual transaction. Smart decisions now save time and money later. For extensive remodelling, enlist the help of professional designers. 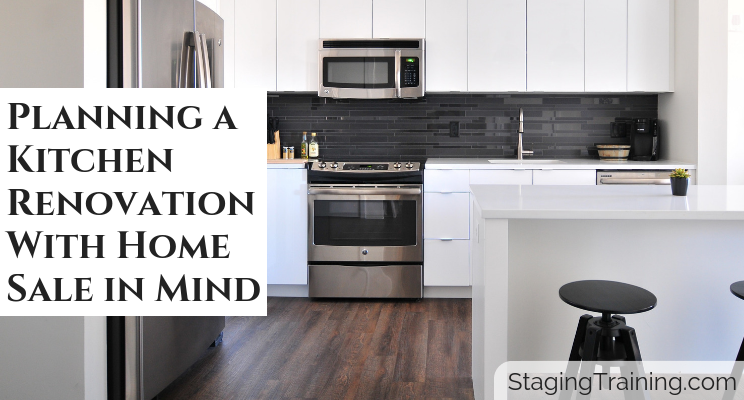 Stagers and decorators with the Residential Renovation Project Management designation will prove to be particularly helpful with any kitchen facelift bringing it in on time and on budget. 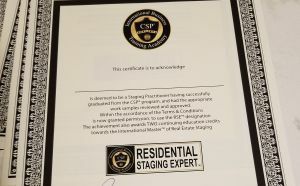 The photographs for this article are provided by RRPM, CSP Master Kelly Peletier which clearly illustrates skills and talents and also resourcefulness as the material costs for this project totalled only $1500! 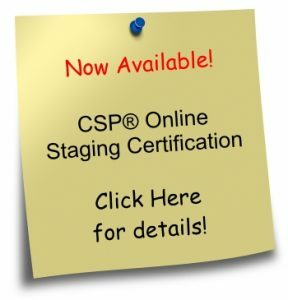 CSP International Academy has contributed 179 entries to our website, so far. View entries by CSP International Academy.